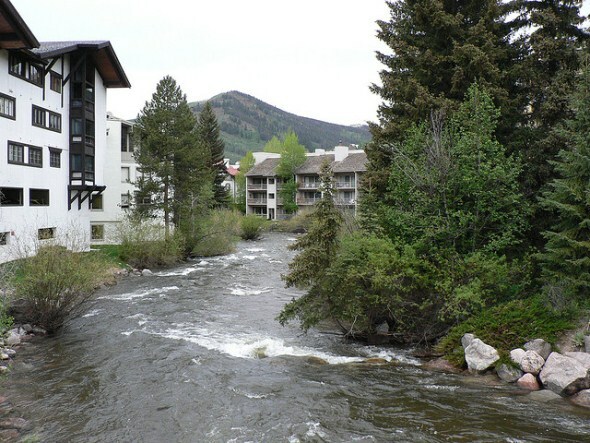 Vail is an intentionally built town, planned along with Vail Ski Resort. The resort opened in 1962 and the town in 1966. Founders were rancher Earl Eaton and Pete Seibert, who trained for the U.S. Army’s 10th Mountain Division 14 miles from the location of the town they would co-found. The town is named for state highway engineer Charlie Vail, who directed construction of Highway 40 through the Vail Valley in 1932. Interstate 70 follows the old highway for much of its route. Vail is surrounded by the 350,000-acre White River National Forest. Tourism is the primary business, and an average of 1 million visitors oblige every year. In addition to skiing, visitors come year-round for concerts, hiking, mountain biking, golf, fishing and rafting. Land area: 4.5 square miles. County: Eagle County (Eagle is county seat). Altitude: 8,022 feet above sea level.